While BaLA isn’t exactly tech in the conventional sense of the word, I think tech solutions for countries with lots of systemic issues often need to be non-tech in order to achieve the same learning outcomes. For instance, in India, electricity supply is very uneven. Some states have a surplus and others have a chronic deficit. Some of the less developed states regularly have 5-6 hour power cuts daily. Running gadgets in this kind of environment is challenging. Building as a Learning Aid (BaLA) is an intriguing little hack and an outstanding example of frugal innovation. 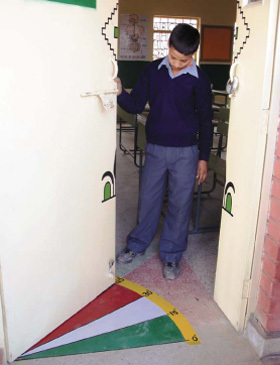 BaLA uses existing infrastructural elements at a school like the floor, walls, pillars, staircases, windows, doors, ceilings, fans, tree – anything and everything in and around the school building as learning resources. In resource poor environments where it may hard to procure and or maintain learning aids, BaLA offers practical alternatives which generally don’t require anything more than paint and cement. Here’s a video from a government school in Gujarat who’ve really embraced BaLA. The BaLA elements seem to not only make learning more fun and tangible, they also make the school look and feel more appealing. 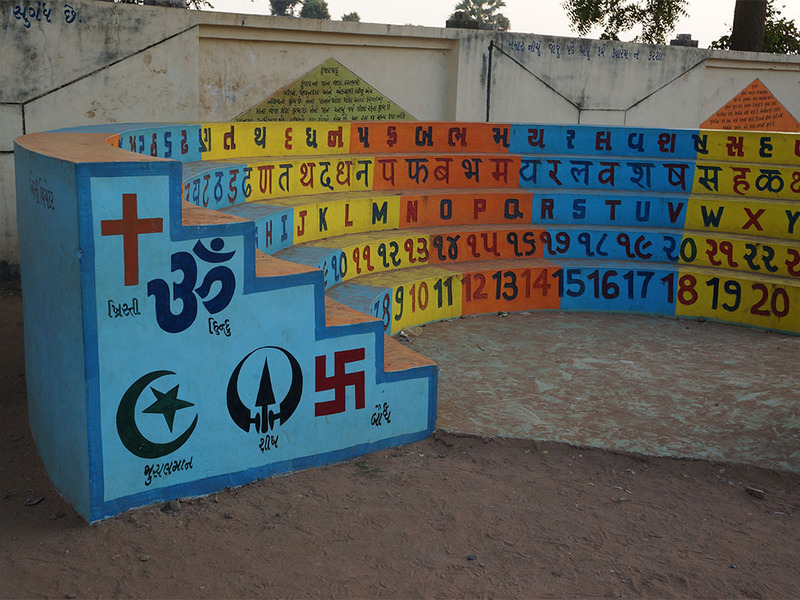 A Teacher’s Manual for using BaLA in elementary schools is a catalogue of ideas and practices for using BaLA for teaching and learning, funded by UNICEF and created by Vinyas, an Indian architectural research body. The focus is on literacy, numeracy science, and language learning. A short concept note on BaLA with lots of ideas. An interesting article from Teacher Plus on how it started in the desert state of Rajasthan and current developments. 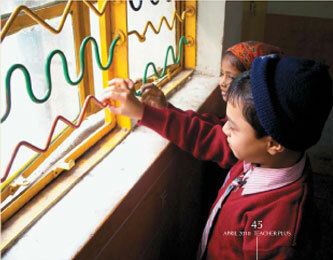 A visual inventory of BaLA ideas implemented at a school in Northern India. It does however seem to be a private school. It’s interesting to note that schools that are well funded also seem to see value in an initiative that was originally conceived for underprivileged rural schools. What kind of frugal innovation have you implemented in your school?